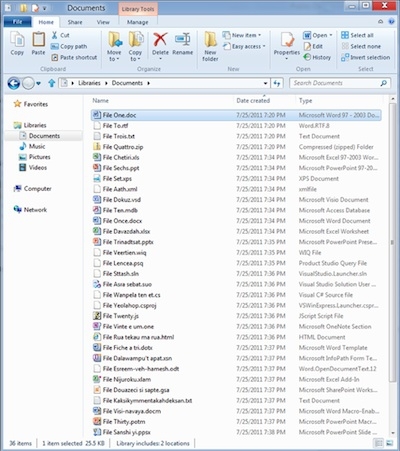 "Microsoft's Windows 8 team today posted a blog entry detailing the user interface "improvements" in the Windows 8 explorer. This perfectly illustrates the difference between Microsoft & Apple's user interface philosophies." Yea, pretty much Apple rules this one. I like a simpler look, and this certainly isn't it. It just seems that they are trying to put way too much stuff in a menu bar to make it visible to the user. It seems strange to me because, as the author points out, users are more likely to use right clicks or hotkeys to issue commands. If that is the case then why clutter up the command or menu bar? I certainly prefer the Apple minimalistic view. You can read the blog post about this change here, and perhaps that will shed some light on it but I didn't find any when I read through it. What are your thoughts?